Now, researchers have discovered evidence that suggests even fast-service food counters may go back a lot farther than many would expect. 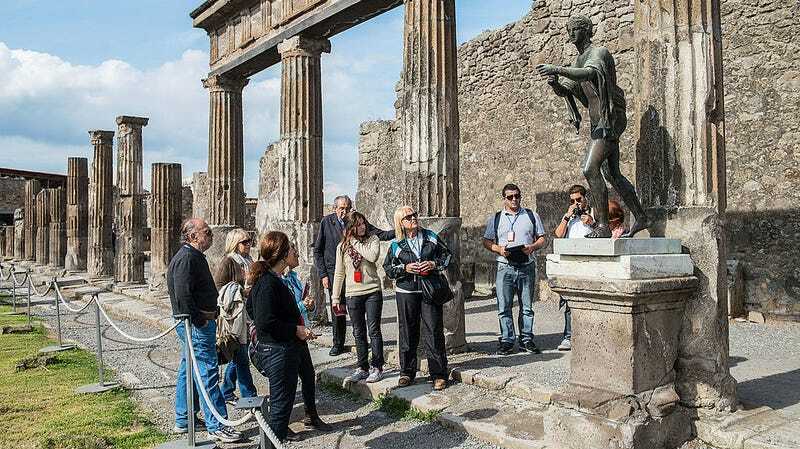 The Archaeological Park of Pompeii has announced that in the Regio V area of the former city, the latest in a series of Thermopolia (or snack bars) has been discovered. We can only assume that, in the grand tradition of fast food restaurants, the residents of Pompeii knew which ones were the likeliest to give you a stomach virus as well: Yeah, Porcius always has the good fish, but there’s no chance this food is up to code. The prep table is a slab of rock. Appalling conditions. ONE STAR. The news is the latest in an ever-growing line of fascinating discoveries from the deceased city, and yet another reminder that all the things we assume as unique were usually done (or at least attempted) centuries ago, up to and including meals of suspect origin.